Your shoe selection should help avoid the heel valgus where the heel rotates outward driving the knee inward too far. More and more of my patients with a variety of foot problems have turned to these spiky massage balls to help with their conditions. 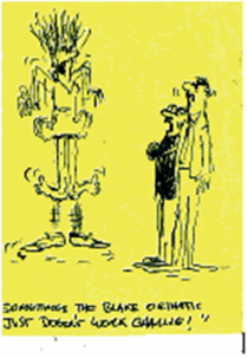 And, I have noticed some help to many patients. I love ice for inflammation in the form of a frozen sports bottle, or heat for tissue loosening with warm water in a metal bottle, but there is a place with chronic conditions just to massage. The author of this video describes four arches in the foot and the gentle massage to each. I found your website when i was looking for some answers for my questions about my problem. I found so many useful things still im clueless a lil bit. 10 years ago i had a fractured sesamoid bone what was removed by operation. Since than i have constant pain in my foot,My doctor told me as in thefoot there are so many nerves its possible that some of them got hurt and thats why im having the discomfort feeling.I learned to live with it but lately i cant even step on it. Soon after the operation I left my country (Im from Hungary) and moved to Spain. Its been a while ive been working in catering, restaurants so im always walking or running. the skin of my big toe and the one next to it feels weird like numb. when my boyfriend massages it feels so much better though i dunno he does good with that. sometimes when i walk i cant step on it cos it feels like im stepping on needles thats why im putting my weight on the other side of the foot but now my ankle and knee started hurting because of that. I am really sick and tired of having that pain all the time. im only 5 feet tall and cant bare high heels! im about to see a doctor cos i need to do something about it but if you have anything in mind any advice i would appreciate it. Thank you so very much for your email and I am very sorry for your dilemma. I will be walking the Camino de Santiago in Spain in September. Your symptoms sound very much like nerve entrapment. You want the doctor to try to find out if the nerve is hung up in the scar or in the joint itself. This can takes many injections into the scar to see if he can deaden the nerve for 5 hours or so with long acting local anesthetic. If that can be identified, then injections with cortisone or enzymes can help. If not, then a second surgery to find the damaged nerve and possibly remove it like they do with Morton' neuroma. Nerves at this level are just sensory, so you are only left with some numbness. Thank you for all your efforts that you put into this blog - tremendously helpful for people like me that are suffering from a sesamoid fracture. 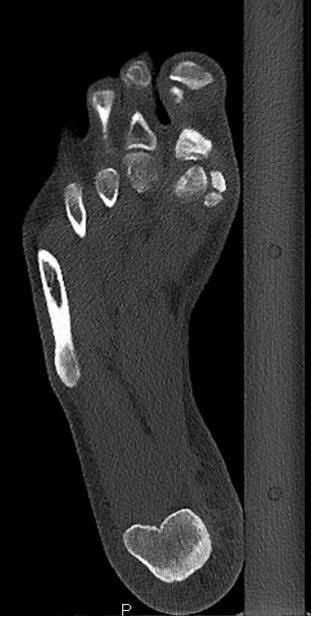 This bottom view of the tibial sesamoid using CT Scanning shows that it was bipartite before the injury due to the rounded nature of the fragments across the fracture site. My sesamoid fracture happened around 4 months ago (stepping too hard on that bone on a hard surface) and I broke it twice again since (after week 5 then after week 12 due to too much pressure). Before the latest trauma I was walking almost normally again (therapy was no sports, little weight on the sesamoid, carbon sole, taping big toe, gradually increasing weight, no crutches or cast). Now, the fracture seems not to be healing again and is terribly sensitive. I use crutches since the last trauma (due to awful tenderness on palpation on the fracture; four weeks now) and an orthoic similar to the one you describe (insole with soft pad under the broken bone with weigh support on the arch and 2-4 metatarsal; stiff sole with rocker bottom). However, the third trauma resultied in a new stinging pain that goes up to the knee on a light touch on the sesamoid and I cannot take benefit of the orthoic so far. You can see the tremendous reaction of the body to this injury which looks like gout, and gout could be layered on top of the sesamoid injury. This could also suggest RSD which is an over-reaction of the nervous system leading to vaso constriction and vaso dilatation episodes (vaso motor insufficiency). 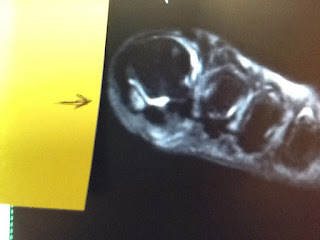 Received diagnosis so far (X-ray week 3: bipartite sesamoid, bone bruise; MRI week 7: fracture or stress fracture of medial sesamoid; CT week 12: sesamoid fracture, with bone bridge after some healing). I enclose a few CT and of course would be happy for any specific advice you have to get the healing process started again (I read most for the relevant entries in the blog). As I have a family I am completely stuck and I am desperately looking for a way forward! - Where I am not sure on your advice on the blog is, if during the initial period following the trauma you recomment total immobilisation with NWB for some time or if is advisable to put some weight on the foot (e.g. with using crutches) also at an early stage to the extent pain remains 0-2? Dr Blake's comment: I would definitely see if you get great pain reduction with an Anklizer type removable boot with your orthotics inside to off weight. We always want as much weight as possible as long as you can keep the pain within 0-2. I would discuss with your doc about the redness and the possibility of gout flare or RSD flare. Both would influence what is done next. - Would you also recommend some very light physiotherapy at an early stage to increase blood circulation (e.g. moving the big toe lightly, soft massage on the inflammated area) or to leave it completely? Dr Blake's comment: You are going to need to find a good PT that understand this, so starting now is great and being proactive. Just to avoid the development of nerve hypersensitivity you want to massage the area 3 times a day with NeuroEze, Biofreeze, or another cream/gel recommended by your doc. Nonpainful massage is wonderful and desensitizing and moving swelling. - Is it in your experience now rather likely, that after two repeated traumas it is much less likely to heal (pseudoarthrosis) and therefore it would make sense to look into surgery rather sooner than later? Dr Blake's comment: Yes, and no. 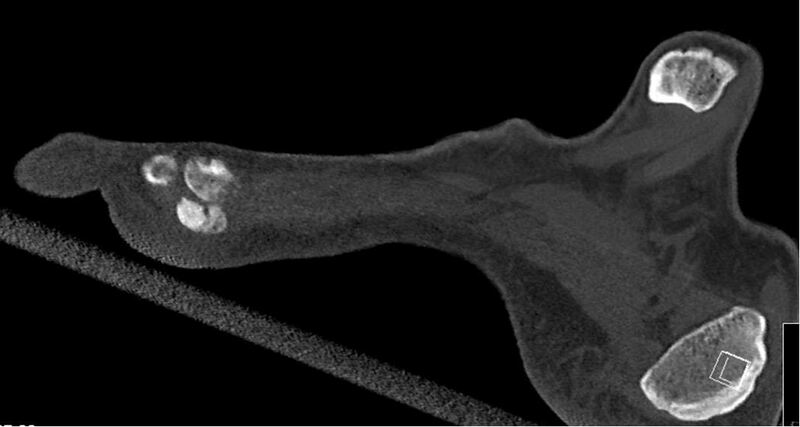 Repeated traumas can cause worsening of the fracture, but it is probably just making it longer to heal. Since you have passed the 3 month level, you should really get an Exogen bone stimulator for a 6 month rental. It will reduce the chance of non healing for sure. - Any idea how to bring the inflammation down? I saw you blog and figured I'd give it a go. I also want to walk to Camino in Spain - I need to conquer this sural neuritis first. Anyhow - thanks for your time. Long back story but as of today I'm about 8 months removed from a tibial sesamoidectomy. Surgery was successful but I'm still dealing with post op discomfort. I think it is shoes and I'm guessing I still have a bit of swelling down there. I wear.Clark's with new balance pressure reducing insoles to work. I still have a feeling of fullness on the sole of my forefoot behind my big and second toe. Just got a new pair of ascics sneakers and they feel pretty good. Just looking on some advice for dress/ work shoes. Appreciate your time. If God is Not Done with You, then He is not Done with YOU!! 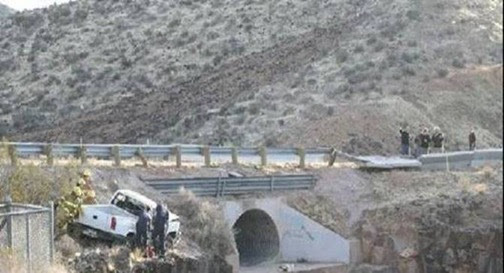 (Don't go to photo# 2 until you look at #1 closely..)This is an interesting, even breathtaking couple of photos. Be sure to read the 1st caption below picture before going to the 2nd photo. Just outside Flagstaff , AZ , on U.S. Hwy 100. If God isn't done with you, Then God isn't done with you !! I noticed that one of your hobbies is hiking. I feel like you might have some good advice to get me through a field season. I was recently diagnosed with PF and Haglunds Heel and my heel is on crooked. I hike 10ish off trail miles a day for work. Several of those miles are in streams on river rock, jumping off of log jams, etc. And all of these miles are done in waders and wading boots. I have insoles, my right foot is taped (I haven't had my left foot examined yet), cortizone injection 3 weeks ago and I am a frequent user of Ibuprofen. I'm not completely weight bearing yet. Do you have any stretches that I can perform out in nature? I watched your stretching video, but I don't have any walls around me. I've been doing the stretch you say is a no no. But, I do it one leg at a time. I hang my heel off the river bank or a log. I do try to find a good boulder to try to stretch on, but it's difficult to get a balanced stretch. I usually, but not always will have time in the work truck between sites where I use a tennis ball over my foot~ is there any stretches I can do in the truck? OH, and is backpacking possible? Since having the cortisone shot in my heel, that spot is pain free. The shot is in the heel (center left (my left)). But, everything around it feels pain. The back of the heel gets painful. My Achilles is often sore. I don't feel the morning pain since the shot, and I do stretches before getting on my feet. I do get stiff after I get home and sit a while. When I'm working I have been feeling pain about one mile in. No pain at night since the cortizone shot. I had to stand on my feet in one spot for 5-6 hours the other day...pretty painful by about the 2nd hour. I notice that I walk on my toes more often and that can't be good for my back. I'd love to soak it in Epsom salts but my foot is taped. Ibuprophen ( We call it I-be-broken in our household) helps. I recently took a 4 day break from it and my heel and ankle were sore. I've been massaging my calf muscle and foot and that helps keep my calf from tensing up. Thank you!! I just ordered the Support the Foot tape. I've actually had a big change this week with my foot. I tried the hard plastic insoles and they've helped dramatically! I was dreading hard plastic, but it really did the trick. I did about 9-10 miles each day last week and I'm able to bare weight. I'm so excited! I think I will be able to go backpacking and hiking (outside of work) this Summer. thanks for your advice and thanks for doing your blog~ I've learned a lot. My son, Oscar, has a large lump on his foot - it's about the size of a squashed grape. We've seen a couple of specialists in the UK but they have seen very few children with this condition, and none as severe as Oscar's. I am trying to avoid surgery because of the high recurrence and the other significant problems it can cause. Do you have any suggestions, or can you point me at any research or specialists? I have had sesamoiditis confirmed via MRI for 3 months now. I went to a podiatrist 2 weeks after I woke up with intense pain in my left big toe. She gave me a cortisone shot and sent me on my way. 4 weeks later the pain came back (not as intense as the initial pain) but was still limiting my ability to walk very far without pain. Dr Blake's comment: With sesamoiditis, one cortisone shot is fine, but I would stay away from long acting cortisone as a treatment option. It can slow down bone healing, and I think sesamoiditis can be a small stress fracture in disguise. What did you do the day before that made your sesamoid scream so much?? 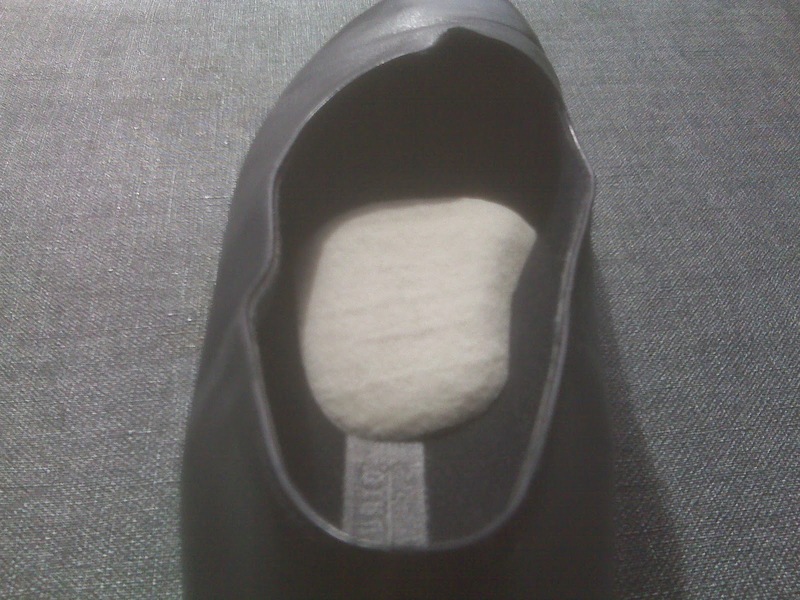 When treating this problem, you need an off weighting orthotic for the sesamoid and an understanding of how to make your own dancer's pads. 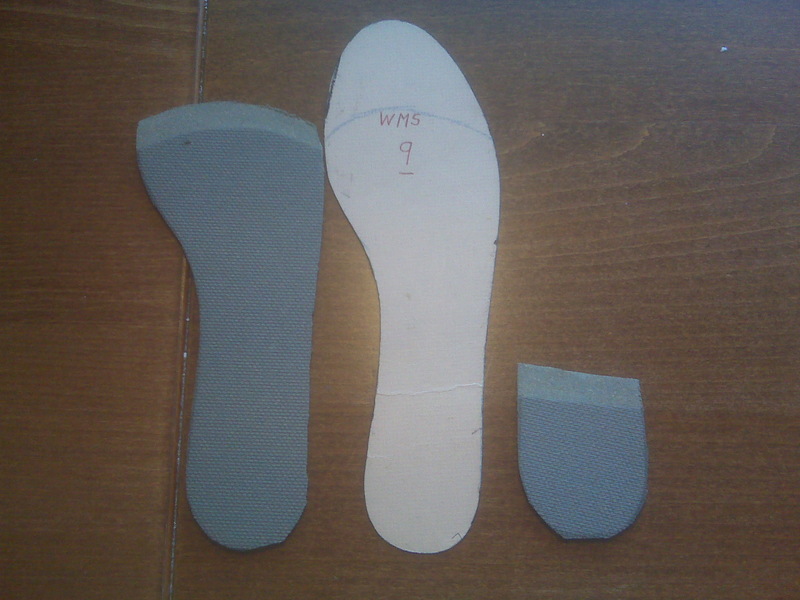 Here is a dancer's pad made of insole material cut up. You can purchase from www.mooremedical.com 1/8th inch adhesive felt, with emphasis on the adhesive part. 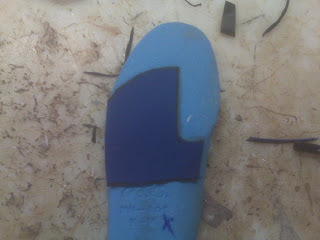 In this way you can add dancer's padding to off weight the big toe joint area in any shoe, or on any insert. The goal is to try to get less pressure on the sesamoid as you roll through you foot. For 2 months I've been in a surgical boot with offloading padding (new podiatrist). On most days my pain level is 0-2 but if I walk alot I end up really sore at the end of the day. My new podiatrist made custom orthotics and wants me to transition to orthotics in a neutral athletic shoe since my pain level has remained at a 0-2. I've also been icing 1x/day. It's now been 3 months and I haven't seen much improvement from 2 months ago when I put the boot on. Dr Blake's comment: Sounds like you are doing the best you can. Keeping the pain level between 0-2 and getting out of the hideous boot has been crucial. And typically 2-3 months of immobilization is just incase there was a small stress reactions. I have been following these sesamoids for years and at times the bone edema which makes everything very sore, is hard to resolve. So, you can email a photo from the original MRI that has the same view as the one below. If it looks like this one, I would definitely do a 6 month bone stimulator from Exogen (probably have to self pay). You have to wait 6 months at least between MRIs to see the percentage of healing. I have had them go out 3 years before the bone toughens up in the worse case scenario. We can do a new post alone on the image you send if you remind me. 1. How long is the recovery typically for sesamoiditis? Dr Blake' s comment: Weeks to years. Sorry. Why would it take a long time? Perhaps foot alignment that puts too much pressure on the sesamoid. Poor or compromised bone health (like Vit D deficiency). The type of activity the patient does that may be high stress to the sesamoid. Inadequate treatment somewhere down the line. Too much immobilization that weakens the bone. The development of nerve hypersensitivity mimicking poor bone healing due to high pain levels. Etc Etc. 2. How would you recommend transitioning from boot to orthotics to ensure I continue to heal? Dr Blake's comment: Typically keeping the pain level between 0-2, with an occasional sharp stab that lasts seconds and no residual. You want to transition when you can be in control of what you do, and can get off foot, or put boot right back on, so start after work going one hour for every days, then 2 hours, etc. Once you are fully weaned out for day to day activities, start weaning at work with one hour, then two, then three, etc etc. 3. Is there anything else I can be doing to speed up the healing process? Dr Blake's comment: Vitamin D blood levels, possible bone density test, health diet (2 four ounces of red meat if you are a vegetarian per week), perfect the orthotics, get the dancer's pad material, ice for 10 minutes twice daily and do an evening flush of contrast bathing. 4. I've had tingling in the ball of my left foot recently and my podiatrist says that means I'm healing, but I always thought tingling meant nerve damage. Thoughts? Dr Blake's comment: Nerve Hypersensitivity is common, and presents in many ways like this. Get online some NeuroEze gel and begin to apply 3 times a day for 2 minutes into the injured area. 5. Can I never wear heels again? I have high arches. Thank you in advance for your time. Your blog has been very helpful.